When I asked permission to use the photos here, Dawn added this information. The sighting was about 20 NM north of the Dry Tortugas. 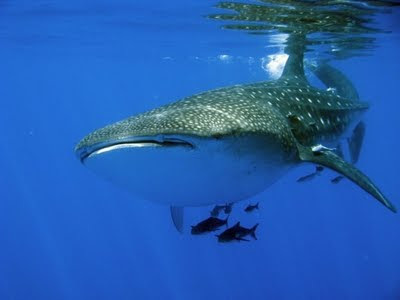 Blair submitted the information to a non-profit group called ECOCEAN Whale Shark Photo-identification Library (see link below). 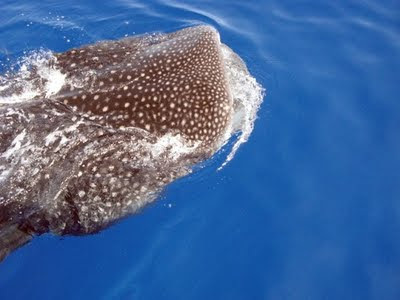 The group utilizes a computer program that can identify whale sharks by the spot pattern above the pectoral fin. His sighting has been added to the library as a new, previously unidentified shark. For you new readers, Blair and Dawn Witherington are the authors of Florida's Living Beaches: A Guide for the Curious Beachcomber, a comprehensive field guide written by two people who know and love Florida’s beaches. Blair is a research scientist with the Florida Fish and Wildlife Conservation Commission Fish and Wildlife Research Institute. Dawn is a graphic artist and scientific illustrator - you can see her work when you visit the Barrier Island Center. As always, our thanks to both of them for sharing their formidable talents and expertise. Oh my, I have always found sharks fascinating...but I wouldn't want to be in the water close to one. Ain't nothing like this in the Black Hills. What a neat experience to swim with a creature like that. 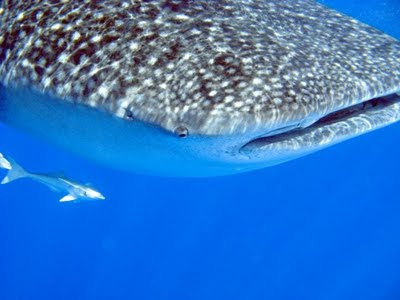 Whale sharks are on the life list of things to see. Some day! Beautiful shots...am totally jealous!